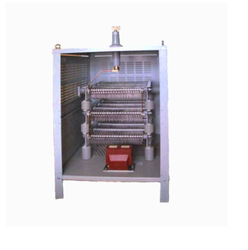 Pioneers in the industry, we offer buffer resistor and buffer resistor for sugar industry from India. 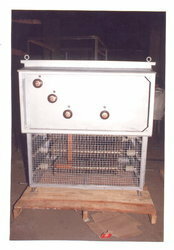 Buffer Resistors for application in heavy machinery is offered. These are instrumental in starting and controlling the speed of AC or DC motors. Made up of stainless steel AISI-304, AISI-410 or AISI 430 or FeCrAl-AISI-406, these are non-corrosive stable resistors. With rating varying from 2-10 minutes, it can be intermittent or continuous. The construct configuration of buffer resistors are as per the IPSS-1-10-002-82 with amendment no.1 and BS 587 for starting/speed control resistor; IS 2147 IS 12063 of 1987 for the degree of protection for the enclosure; IS 5 for paint shade and can meet other standards as required by the client.